The more than 1.66 million students who took the SAT in 2012 were the most diverse group of students in the college entrance exam’s history. The more than 1.66 million students who took the SAT in 2012 were the most diverse group of students in the college entrance exam’s history, but the mean scores in critical reading and writing dropped by a single point, a College Board report released Monday shows. The report, titled “The SAT Report on College & Career Readiness: 2012,” shows that 45 percent of SAT takers in the class of 2012 were minority students, up from 44 percent in the class of 2011 and 38 percent in the class of 2008. Along similar lines, 28 percent of the SAT takers in 2012 were English-language learners, up from 27 percent the previous year and 24 percent in 2008, the report shows. 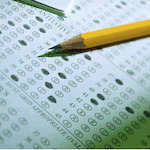 The mean scores for the SAT class of 2012 were 496 in critical reading, 514 in mathematics and 488 in writing, the report states. The mean math score has remained stable in recent years, but scores in critical reading dropped four points since 2008, and writing scores dropped five points during the same period. 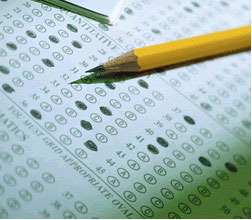 College Board officials say the broader diversity of students taking the test is a factor in the decline in SAT scores, but that diversity in and of itself does not explain the drop. Rather, they say, the biggest predictors of success on the SAT were whether students had taken the core curriculum, rigorous courses, and the level of education of their parents. To wit, according to the report, 60 percent of students who had a parent with a bachelor’s degree or higher met the SAT “benchmark score” of 1550, versus only 27 percent for students of parents with less than a bachelor’s degree. The benchmark score indicates a 65-percent likelihood of achieving a B- average or better during freshman year in college. Research suggests such a grade is indicative of a “high likelihood of college success and completion,” the report states. Among students who took the core curriculum, 49 percent met the SAT benchmark, versus 30 percent of those who did not take the core curriculum. Similarly, the report states that students who had taken AP or honors courses were nearly twice as likely to meet the SAT benchmarks in reading, mathematics and writing than students who did not. The College Board says these statistics underscore the need to provide more support for students of lesser means, whom the report says were less likely to have parents who went to college, less likely to participate in rigorous courses, and less likely to have completed a core curriculum. The report raises similar concerns. The College Board granted SAT fee waivers to 22 percent of SAT takers from the class of 2012—a record high and 61 percent higher than in 2008. Additional insights into various groups of students’ performance on the test can be gleaned from statistics on those who got the fee waivers. For instance, among students who qualified for fee waivers, 70 percent indicated that their parents had only a high school diploma or less. Conversely, only 26 percent of non-fee waiver SAT takers had parents with only a high school diploma or less. English-language learners were also highly represented among SAT fee-waiver recipients: 46 percent compared to 23 percent of non-fee waiver SAT takers. During a Q&A session for the release of the report, a reporter asked why reading and writing scores had dropped but math scores have remained steady. Wayne Camara, vice president for Research & Development at the College Board, said the reason is because more students are taking calculus and pre-calculus than in years past, but the same was not true for English and the social sciences.